In a space, color of the ceiling should avoid too deep or too dim, which will bring your home in a top-heavy situation, will make you felt like living in caves. The best choice of color matching is: choosing the palest.color for ceilings, the next is the flooring, and put the color focus on the walls. 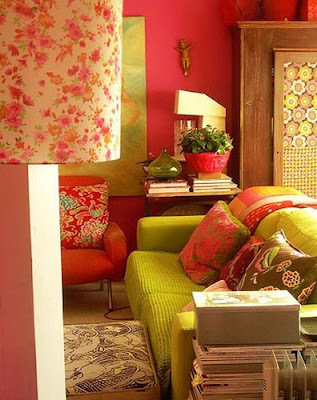 (2) Avoid "Too Many Contrasts"
The color matching of home decorating should emphasizes on coordination, comfort, and could taking people feelings of relaxation, so you should avoid adding too many strong colors which will add visual fatigue. Reducing use of contrasted colors and using same colors as far as possible, a coordinated color matching will make you feel more relaxed and easy in home. Colors can also be explained through the five elements theory. White on behalf of gold, red on behalf of fire, blue and black on behalf of water, green on behalf of wood, and yellow, brown, beige, khaki on behalf of soil. In the Five Elements theory, gold inter-restricts wood, wood inter-restricts soil, soil inter-restricts water, water inter-restricts fire, fire inter-restricts gold, but also antagonistic symbiosis with each other, gold inter-generates water, water inter-generates wood, wood inter-generates fire, fire inter-generates soil. For a simple example, matching red with black will form an inter-restriction pattern of water and fire, conflicted but personalized. Matching black with yellow, just as covering soil with water and build a dike to prevent from dike breaking, thus produce a kind of warning meanings virtually. Matching red with yellow will formed a pattern of fire generates earth, the fire flared up more, and more earth will be generated, which formed a strong impression, an effect of very warm. Use the five elements theory to explain the color matching method, it is simple and easy to understand, the using ratio of inter-restricted colors should be minimized to the best, because they all belongs to contrasted colors, and colors used to highlight personality or characteristics should be selected modestly, and be sure to avoid too much, too many features also means no feature. 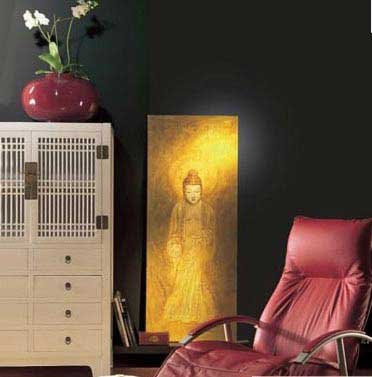 Inter-generated colors also should be used more cautious, and avoid too much inclination to a certain kind of feeling, for example, if you using cold colors in the whole room, the home will full of sensations of coldness.